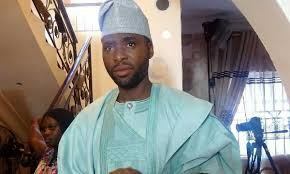 Popular Yoruba actor and producer, Ibrahim Chatta has described as false allegations that he was a serial wife beater. He said that the allegations on online media channels were designed to tarnish his image and have made him cry in the past. However, Chatta said he decided to take his mind of the allegations after a while as he really could not do anything about it. Addressing allegations of wife battery, the actor said, “I am aware that if one should search for my name on the internet, most reports that would pop up would be that I am a wife beater but all those things are false. I have just one question to ask the media and public; if truly I am a wife beater, how come there is no proof or evidence to support that fact? We are in the age of social media and if truly I am a wife beater, one of my alleged victims ought to have taken to their social media page to post a picture of bruises or a black eye but there is nothing like that. Does it mean that of all the women I had dated and allegedly beaten up, none of them has proof or a scar to show that those stories are true? “There were so many speculations when I got married to Salamat who is the daughter of a senator. We parted ways because she admitted to me that she no longer trusted or loved me. I begged her to come back home because I was worried about what my fans and friends would think about me as I am a role model to many. My ex-wife told me that she had been acting all the while we were together as she had stopped loving me since 2012, shortly after our Nikkah. Despite that, I still begged her to come home because the way Nigerians judge when it comes to marriage, the man is always at fault. The case is normally worse for us actors because they see us as flirts. After pleading with her, I had no choice but to let go and the next thing I heard people say was that her mother came to my house and found it unfit for her daughter to stay. “I live in a four bedroomed apartment with two sitting rooms. I have dependants because I like people around me. She knew this about me before we got married and when the rumour mongers realised that their initial rumour did not hold water, they said that I beat her the same way I beat my baby mama. My question has always been this; how rich can I be to beat the daughter of a politician, a senator and I would not have been locked up? Anyone that claims that I am a wife beater should present proof other than mere hearsay. But Yinka Solomon, a woman who gave birth to Chatta’s child in February 2009, insisted in a 2013 interview with bononline that he beat her until she lost her first pregnancy for him in 2007. 0 Response to "Why I Cried Over False Reports About Me – Ibrahim Chatta"